Two of these engines were built by Wheatley for use by the North British Railway (NBR) for short distance goods and mineral traffic. They were last mainline 0-4-0 locomotives to be built in Britain. Both were rebuilt by Holmes in 1902, and Reid in 1911. No. 1010 (originally No. 357) was withdrawn in April 1921, but 1011 (originally No. 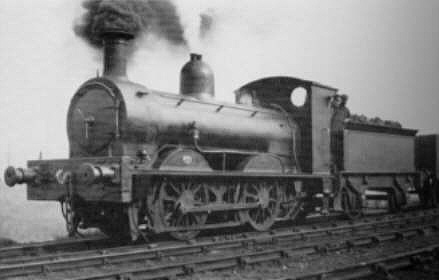 358) survived into LNER ownership and was withdrawn in December 1925. The Holmes rebuild included new boilers and a typical Holmes boiler with a dome. Other parts (eg. the chimney) were modified to resemble modern NBR practice. Reid's rebuild involved the replacement of 5ft wheels with 4ft 3in wheels, and the fitting of a new cab. Due to the smaller wheels, the splashers and running plate were modified. A steam brake was finally fitted. Originally, the Y10 probably only had a tender brake, which was upgraded to an engine hand brake in the 1890s. Originally these engines were allocated to the Fife and Northern Districts. Later, they were shedded at Kipps. During LNER ownership, No. 1011 was the usual engine used on the branch from Clarkston to Springbank Yard and Moffat Mills. It proved useful on this sharply curving line. The following describe No. 1011 when it entered LNER service. Heating Surface: Total: 199 sq.ft. Neither of these locomotives survived into preservation. No. 1010 was withdrawn in April 1921, and No. 1011 was withdrawn in December 1925. I am not aware of any models of the Wheatley Y10s in any scale.